Pain management is a branch of medicine employing an interdisciplinary approach for easing the suffering and improving the quality of life of those living with pain. Pain sometimes resolves promptly once the underlying trauma or pathology has healed, and is treated by one practitioner, with drugs such as analgesics and (occasionally) anxiolytics. Effective management of chronic (long-term) pain, however, frequently requires the coordinated efforts of the management team. Treatment approaches to chronic pain include pharmacological measures, such as analgesics, tricyclic antidepressants, andanticonvulsants, interventional procedures, physiotherapy, and psychological measures, such as biofeedback and cognitive behavioral therapy. It turns out that healing is actually delayed when pain caused by tissue damage is not relieved. 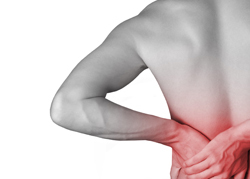 Research shows that uncontrolled pain has an adverse effect on our immune system. Continuous pain also appears to lower our body|s ability to respond to stressful situations such as surgery, chemotherapy, and psychological stress. Every individual’s progress varies and depends on the level of treatment required, so there is no predetermined length of treatment. However, research has shown unequivocally that good outcomes are contingent on adequate treatment length. Suggested treatment will be based on the first assessment and recovery of the patient over time. The personalized care packages range from a single everyday service to long-term care package, and prices vary between geographies and severity of the addiction. Our care packages starts from Rs.3000/ month. To know more details contact on help line 1800-419-0702.